​Hy-Lok Canada is proud to a leading provider and manufacturer of high-quality fluid system components, including cryogenic valves. With clients spanning the globe, as well as several industrial sectors, Hy-Lok has earned a reputation for competitive prices, products that last, and exceptional customer service. Learn more about our cryogenic components below. Cryogenic components, as their name suggests, face a unique set of challenges when it comes to utilization and demands. 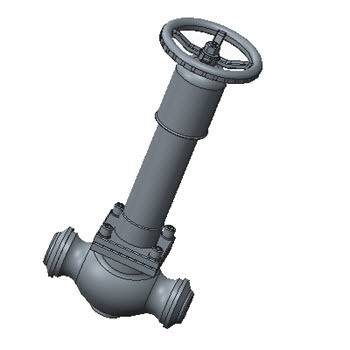 Cryogenic valves are crafted to be used in applications where extreme cold is present, typically when dealing with Liquified Natural Gas (LNG) or Compressed Natural Gas (CNG). With temperatures starting as low as -230°F and pressure ratings as high as 750psi, a sound design and reliable seal is imperative. Cryogenic valves help facilitate the safe transportation of LNG and CNG, and ensure an efficient overall process. Our valves have a maximum operating pressure of 705psig (52 barg) at 100℉(38℃) and an operating temperature rate of -320℉(-196℃) to 700℉(371℃). Hy-Lok Canada takes our commitment to quality and performance seriously. All of our products our thoroughly stress and leak tested prior shipping, and are backed by our reliable warranty. As a manufacturer and supplier, Hy-Lok is able to accommodate custom orders, making it easy to find the perfect fit for your application. Learn more about our products by viewing our inventory, or by contacting our team now.